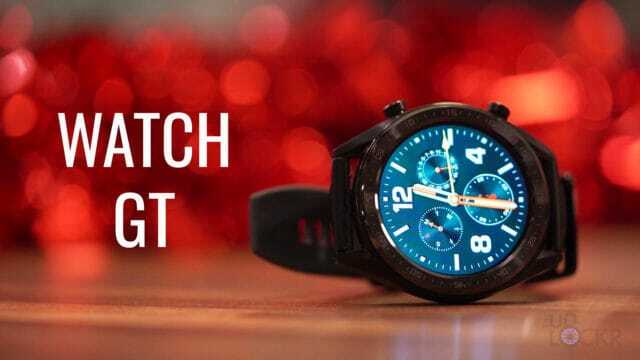 The new Fossil Sport is now the second smartwatch to feature Qualcomm’s newest Wear 3100 chipset specifically built for Google’s WearOS wearable operating system (replacing the now two-year-old 2100) but it’s the first one that’s actually affordable (the other being the Montblanc Summit 2 that is around $1000). Fossil was kind enough to send me one and so I figured I’d try and do a complete walkthrough on it for you guys. 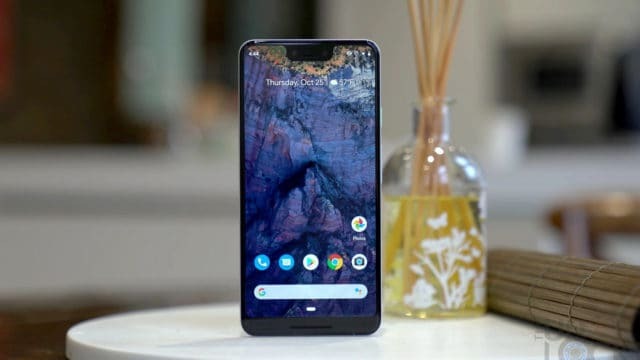 If you aren’t familiar, a complete walkthrough on my channel is where I try and go through every feature I can on a new device so you are better prepared should you be in the market to buy one. With that said, there is a lot to go through, so let’s start with the styling. 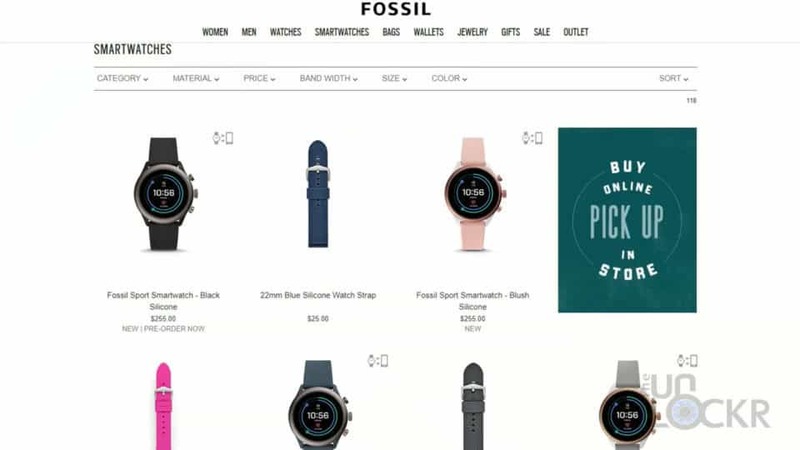 The Fossil Sport is a watch with a lot of SKUs. You can get the watch casing in 6 different colors and two different sizes, 41mm and 43mm. And for the first time ever, the casings match the bands which my OCD personally appreciates. The case is made out of nylon with an aluminum top ring and buttons. The top ring and buttons look really nice actually, and the nylon base while looking a bit cheap is coated in a powder coating of some sort that gives it a nice feel and, of course, I’m sure was the choice of material for the simple fact that it’s good with sweat and super light. 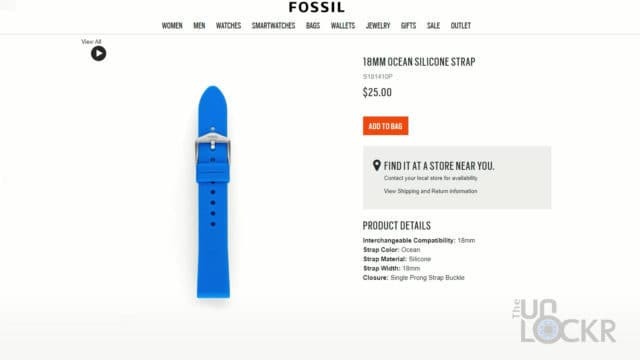 The band that comes with the watch, as well as the options you can buy from Fossil for $25 a piece are made out of silicone and I’d say are nicer than some of the other options I’ve seen on Amazon that are albeit cheaper. 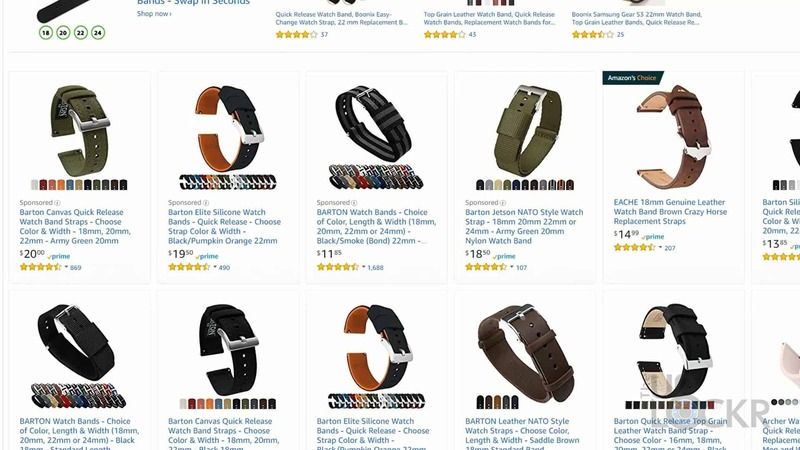 Regardless though, it does support standard 18mm quick release straps for the 41mm case and 22mm for the 43mm case so you are free to buy from a ton of options on Amazon and other sites. 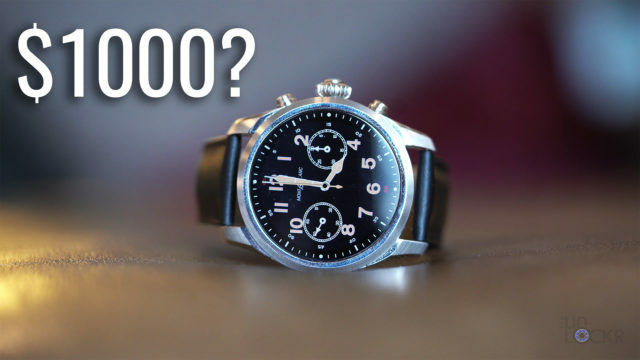 As for the difference between the 41 and 43mm cases, there really aren’t any besides that literal size. 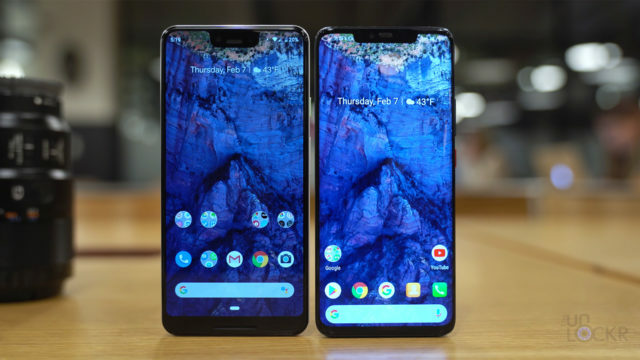 They both feature a 1.2″ AMOLED touchscreen that is super bright actually and the blacks look great on (the 43mm just has larger bezels around it), and they both have the same exact specs (and the price even, too). On the side, we have our crown that can be turned to navigate the OS or pushed in to get to get to your app drawer with the three most recent apps at the top along with any apps you’ve marked as a favorite, and two buttons that you can customize to launch whatever app you want or even start a workout in Google Fit, for example. 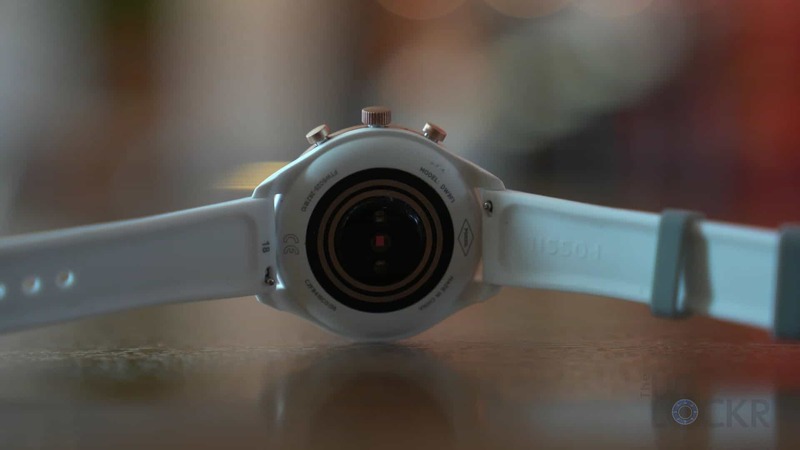 Internally, the Fossil Sport has all the bells and whistles you’d expect from a smartwatch including a heart rate monitor (which during a workout will track continuously otherwise it’ll grab your heart rate every 20 mins), GPS, altimeter, accelerometer, ambient light sensor, NFC that works for Google Pay, Gyroscope, Bluetooth, WiFi, etc. 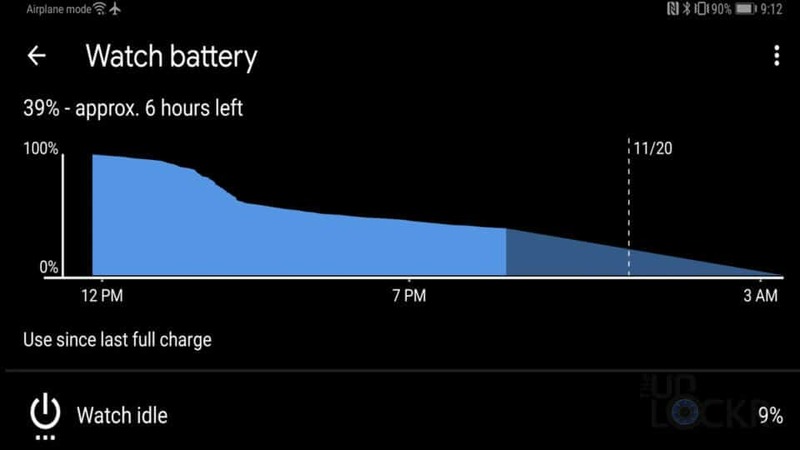 Powering it is a 350mah battery paired with the aforementioned Snapdragon 8100 chipset that together are supposed to last “24 hours plus” which in my own testing it lasts from when I wake up to when I go to bed at least but if you don’t charge it won’t last much into the next day. We also have 4GBs of internal storage that can be used with Google Music (no offline downloading for Spotify yet but it’s supposedly coming to WearOS eventually). Which brings us to the software. 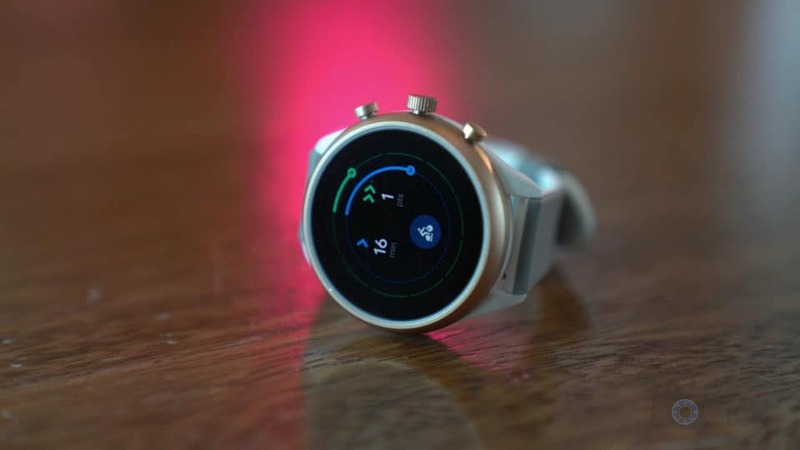 The Fossil Sport is running the latest version of WearOS 2.1 and so it functions the same as any other WearOS watch. For those unfamiliar though, let’s go through how the OS functions. We have an ambient display option that you can turn on and off that, thanks to the OLED shouldn’t use too much power. 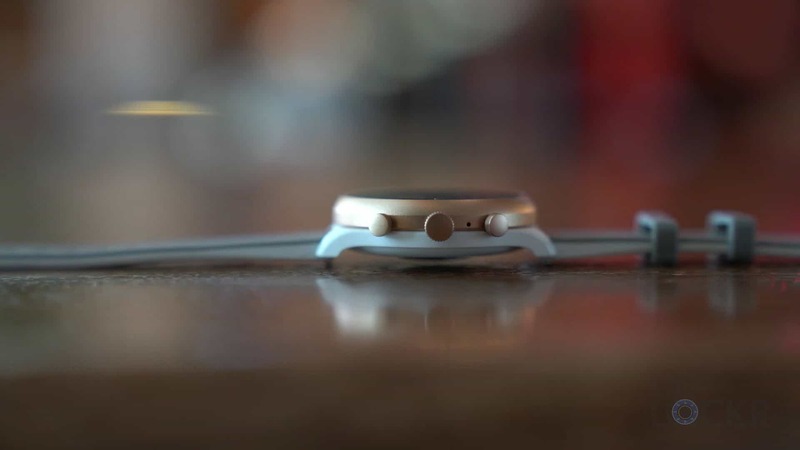 Tapping or moving the watch will then bring you to the watch face. You can tap and hold on the face to then switch between the active faces, swipe up on any to uninstall them and tap on the gear icon beneath them to customize them. 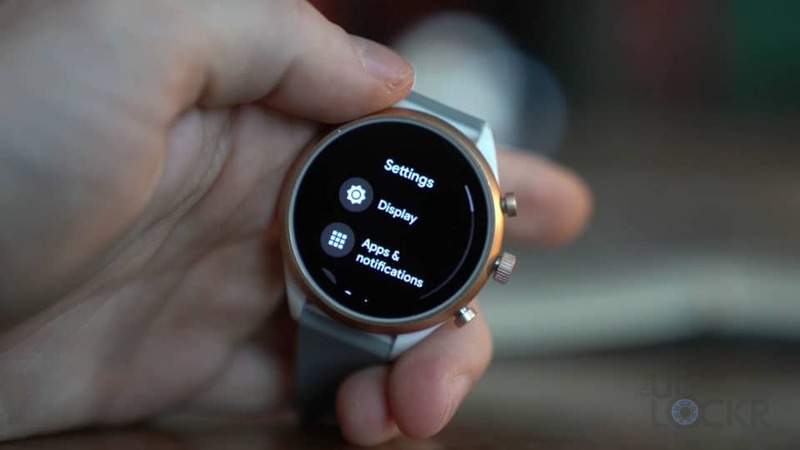 If you swipe all the way to the right, you can add new ones from the available ones that Fossil has pre-installed for you, and scroll to the bottom to be taken to the Play Store to download from any of the plethora of WearOS faces available there. Swiping any screen to the right will bring you back to the previous screen. 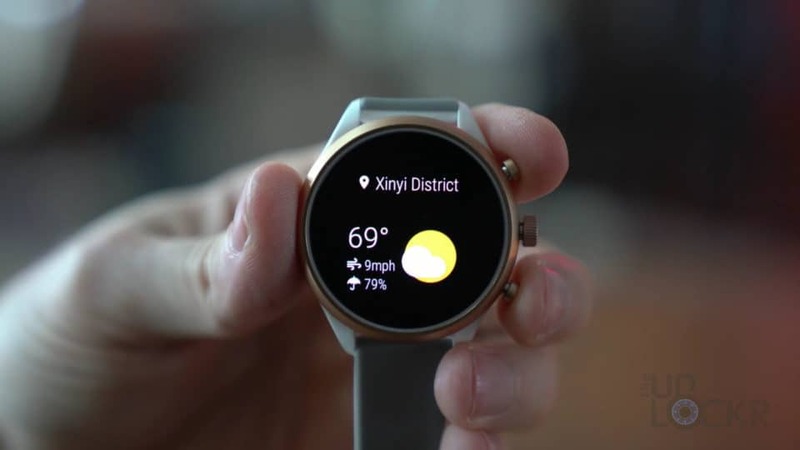 While on the watch face, you can swipe over to the left to get to the Google Assistant page that will display cards for upcoming events, allow you to dictate commands to Google Assistant as usual (you can also enable Ok, Google detection to be able to bring up the assistant at any time by saying those words instead if you want). 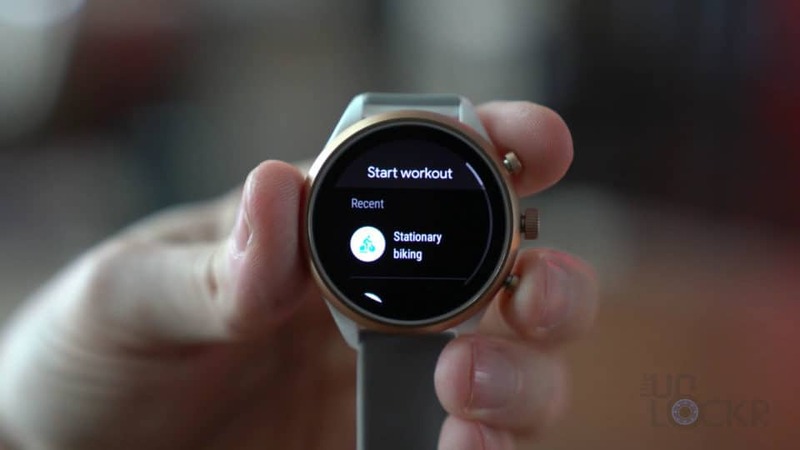 Swiping over to the right gives you access to Google Fit quickly where you can see your move and heart points for the day (their new units of measuring fitness based on the American Heart Association recommendations) and a shortcut to the last workout you initiated. Swiping up gives you your notifications that you can tap to interact with and use quick actions for or swipe to dismiss. 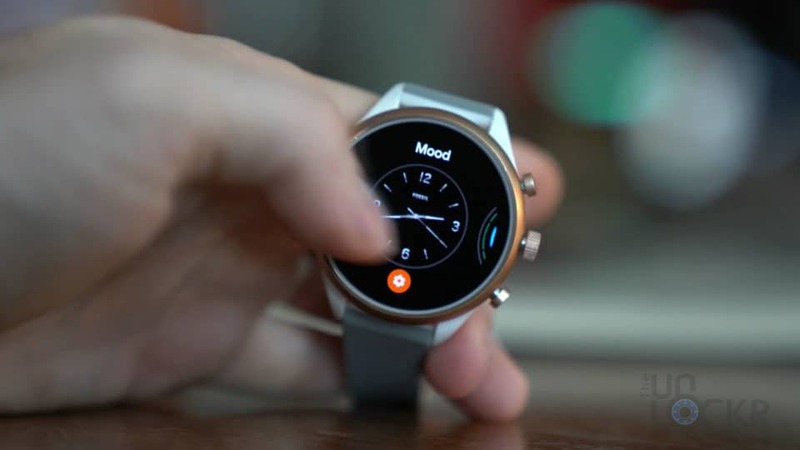 And swiping down will give you your quick actions like airplane mode, battery saver, ping your phone, open Google Pay, theater mode which disables the screen until you push the crown in, and do not disturb. 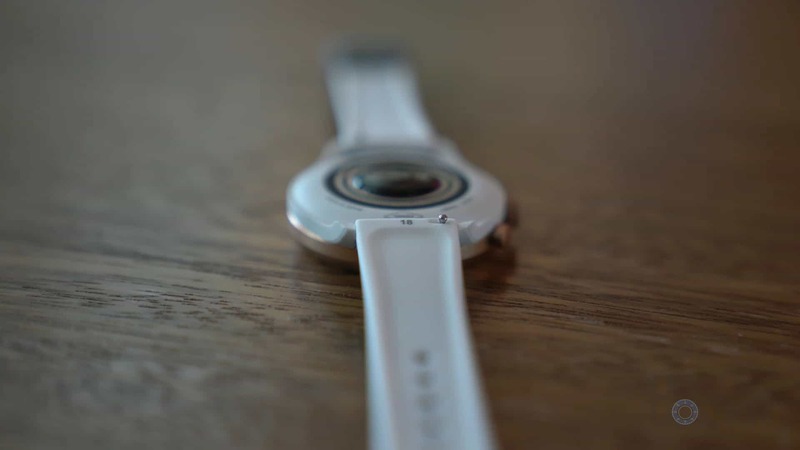 You can also see your connectivity status, battery life remaining and tap the gear to get into the watch’s settings. Speaking of, let’s quickly run through those, as well. 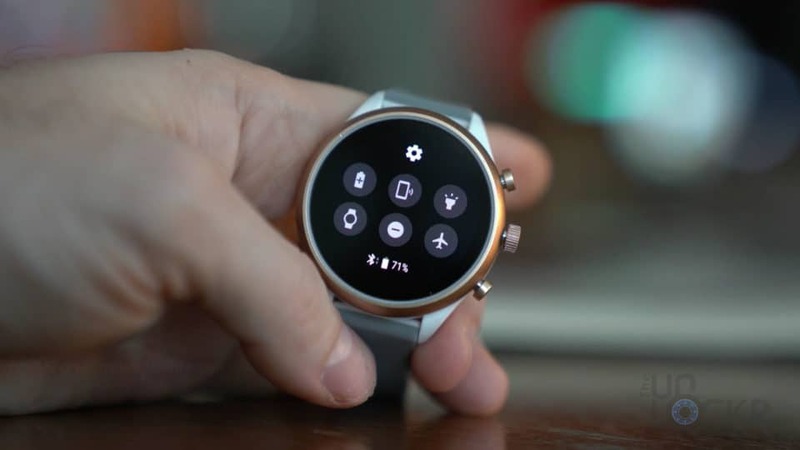 Change Watch Face: A shortcut to the same thing as holding down on a watch face. Adjust Brightness: Allows you to select between 1-5 or auto for the screen brightness. Sunlight Boost: This will boost the brightness if it detects you are in sunlight to make it easier to see the screen. Font Size: Let’s you select from small, normal, and large. Always-On Screen: You can have this on or off to show the time and some select things based on the watch face when the screen is off. Touch Lock: Turning this on will disable the touchscreen until you push the power button. App Info: To see basic information about the apps installed and system apps. App notifications: Let’s you choose which apps are allowed to send you notifications or not. Notification Previews: Choose from always show, show for 5 seconds, or never show. 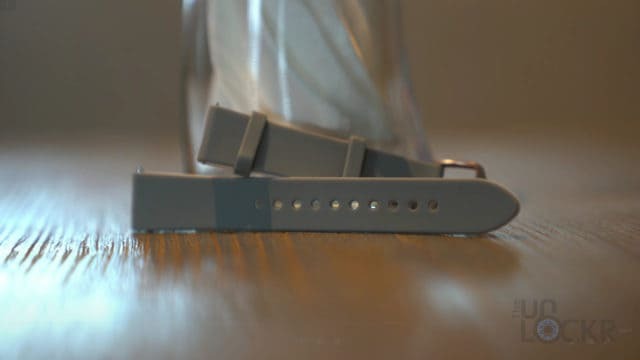 Do Not Disturb when off wrist: Automatically enables do not disturb when the watch isn’t on your wrist (stops it from buzzing on your nightstand). Override Do Not Disturb: You can choose specific events like calls from favorited contacts, reminders, events, or alarms to ignore do not disturb and allow their notifications to come through. Vibration Pattern: Choose from normal, long, and double vibration when a notification comes in. 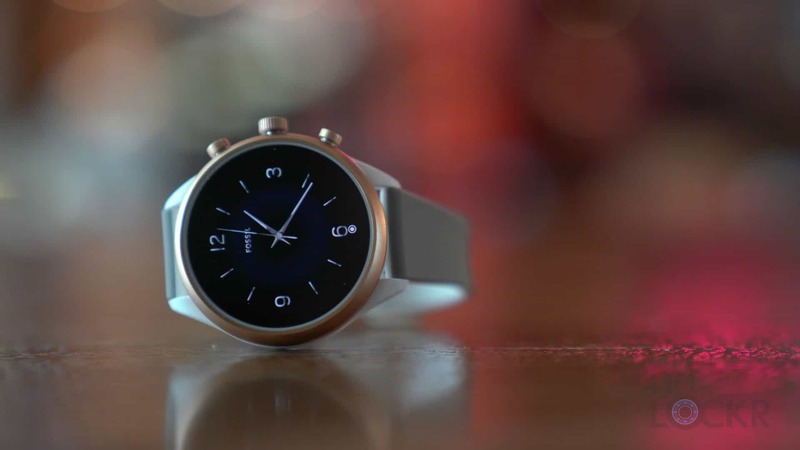 Tilt-to-wake: Let raising the watch turn on the screen. Touch-to-wake: Let touching the screen turn it on. 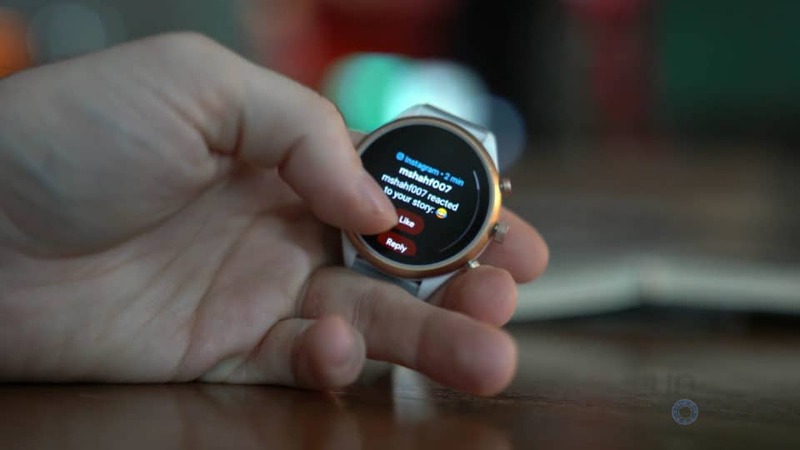 Wrist Gestures: Flick your wrist out to scroll down, flick in inward to scroll up, or shake your wrist to exit the current screen. Under Connectivity, you have options for Wifi, Bluetooth, NFC, airplane mode and location access. Under Accessibility, magnification zoom allows you to triple tap to magnify the screen. Screen lock: Choose between pin, pattern, password, or no lock (having Google Pay enabled requires the lock). Input methods: You can add new keyboards from here (that you’ve downloaded from the Play Store). Included is the Google one which you can swipe on to input text or tap the microphone to use voice-to-text. Accounts: Choose which of your Google accounts you want on the watch. Customize Hardware Buttons: You can select what app or action the hardware buttons open. Smart Reply: With this on Google will automatically suggest replies to messages that come in that you can choose from. 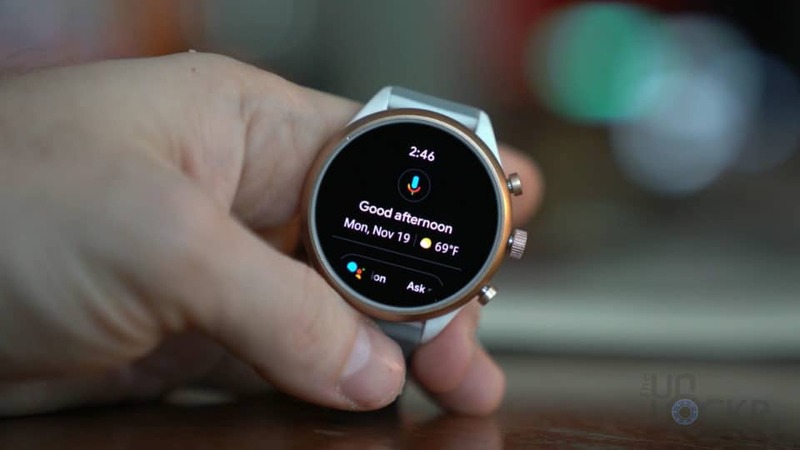 “Ok, Google” Detection: Allows you to say Ok, Google to activate Google Assistant directly from the watch. Device Administrator: Allows you to use Android Device Manager like you would for your phone and remote wipe, locate the watch, etc. Under Storage will show you what apps and services are using storage on the watch and how much (you can also sort this by data size or app size). You can then tap on them and clear their data, cache, etc. 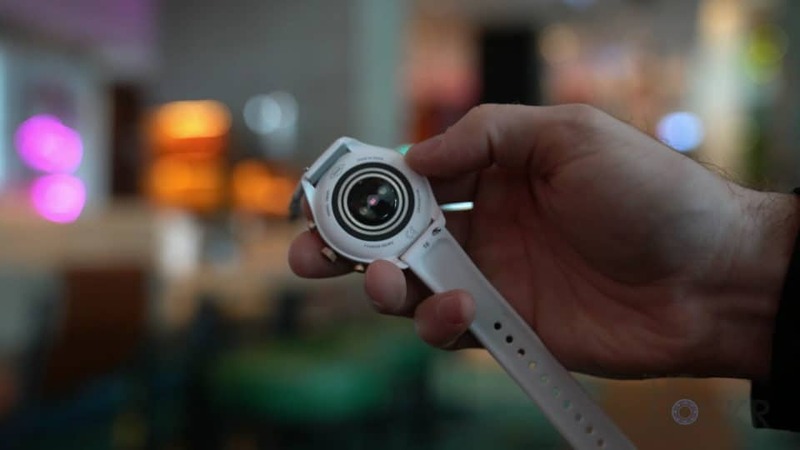 And finally, under System, we have battery info, date & time, options for rebooting, powering off, and restarting the watch as well as disconnecting it to pair it to a new phone, and other system and regulatory info. And there you go, let me know what you think below and follow me on social for more behind the scenes of these tech events!